No matter how long a Kickstarter campaign might run, it might just happen at a time where you can't join in on it. Or, perhaps, you just missed its announcement altogether. And then there are people who don't like to back Kickstarter campaigns until they're successful. Whatever the reason, you might not be part of a campaign that you want. Thankfully, the late-pledge period allows you to join in. 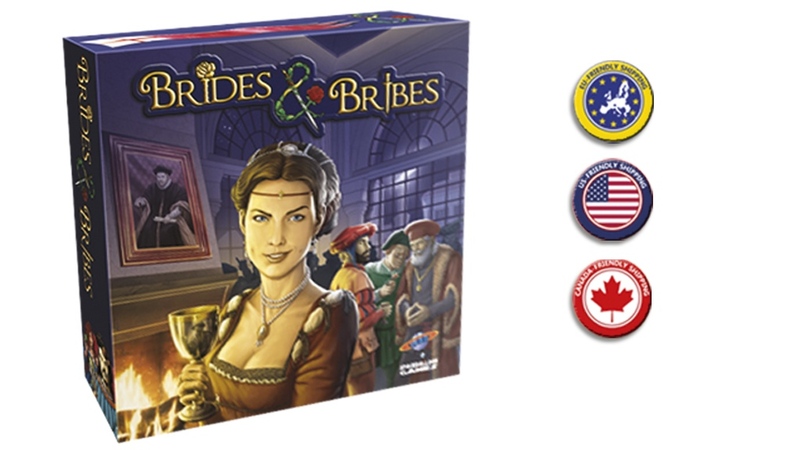 Spaceballoon Games is giving you just such an opportunity for Brides & Bribes. In Genoa, during the Renaissance, it's not good enough to just be a powerful family. You have to be the most powerful family. But with each house looking to become the greatest, it's a struggle to get to and stay on top. If you want to become the new Doge (such power, wow), you'll have to hire the right workers, collect money you're owed, and convince the local Lord that your family is the best choice for his daughter to marry into. 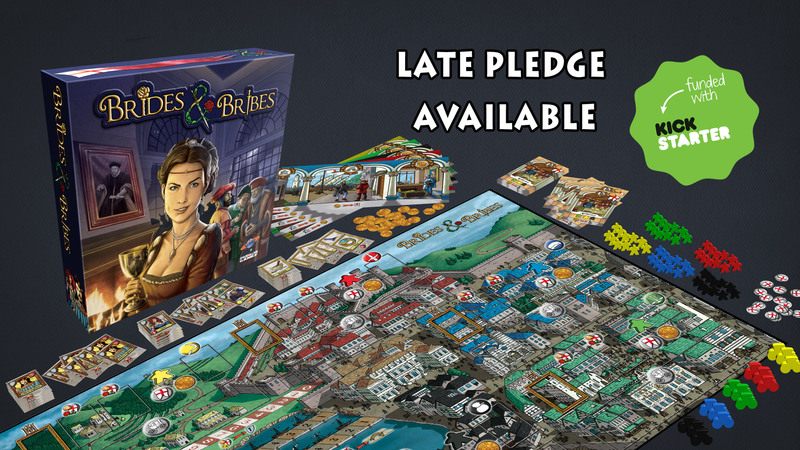 That's the story behind Brides & Bribes, a new worker placement board game that's up on Kickstarter.